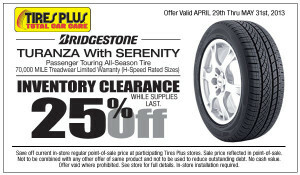 Tires Plus is obviously a great place to get new tires for sale. 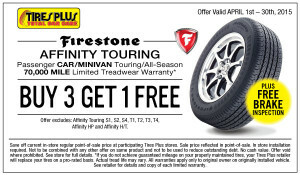 They have a great and knowledgeable staff at most of their locations that can help you get your car fitted for the right tires that you need. You might want to check out the Yelp reviews for your closest location to see how they match up to other places, because that is always the safest thing to do when dealing with mechanics. Tires Plus usually has some good coupons, but will also work with you on mail in rebates for the tires that they offer. 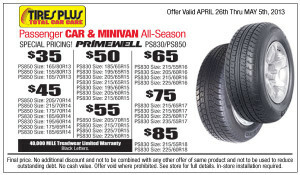 Below are just tire deals, but you can also get oil change coupons and other discounts on services from them. 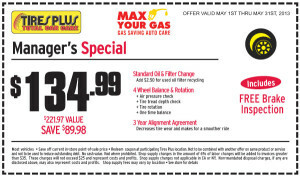 Make an appointment and Tires Plus will install your new tires in under an hour, or they’ll give you $59 back and a free oil change. 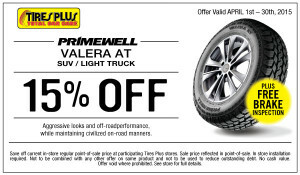 Save Off in-store point-of-sale price. 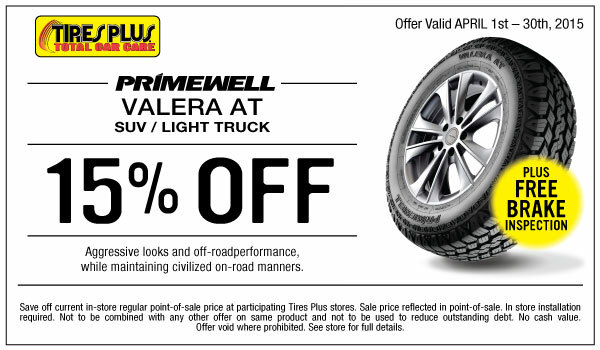 Redeem this coupon at your participating Tires Plus store. Despite being a company that is based around selling tires and batteries (National Tire and Battery), NTB is a great place to go for a cheap oil change. 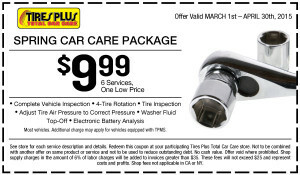 Cheap oil changes here mean price, not quality of service. 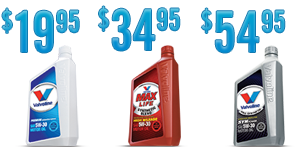 You’ll get a high quality motor oil, like Valvoline, and will be serviced by a certified mechanic. An added benefit to getting an NTB oil change, you can both schedule and pay online for your services. 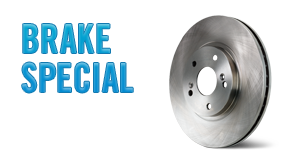 This keeps you from getting any sneaky extra costs slipped into your bill…not saying everyone does that, but a lot of mechanics will. 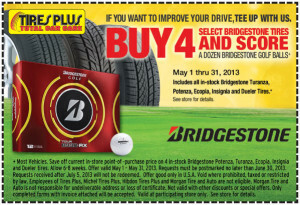 Click for more info about NTB coupons. 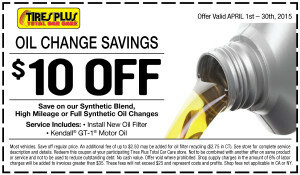 Oil change special starting at just $19.99! Plus, every oil change includes a complimentary inspection of things like your fluid levels, battery and wipers to be sure your car is campus-ready. Goodyear is almost always matched up in people’s minds with either Goodyear Tires or the Goodyear Blimp. It is one of those companies that has set itself apart from others so much in one area that people forget or don’t even realize that there is a whole other side to their business. Goodyear has an entire network of auto repair shops that can perform anything from regular car maintenance jobs up to bigger engine repairs. Even if you just need an oil change, Goodyear can perform that service for you quickly. 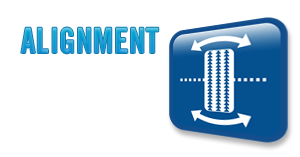 Reference & compensation, or adjustment of thrust line, depending on alignment type. Most Chuck E Cheese visits can get expensive fast if your little guests play a lot of games quickly. 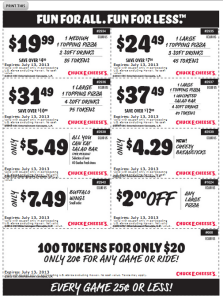 That is why I’m happy to share this coupons flyer that you can print out and save some money next time you bring the kids down to Chuck E Cheese for skeeball, arcade games and some mediocre pizza. This coupon sheet has all of the latest deals for you during February. There are also some more ways to get free tickets and play online, those are found at the bottom. 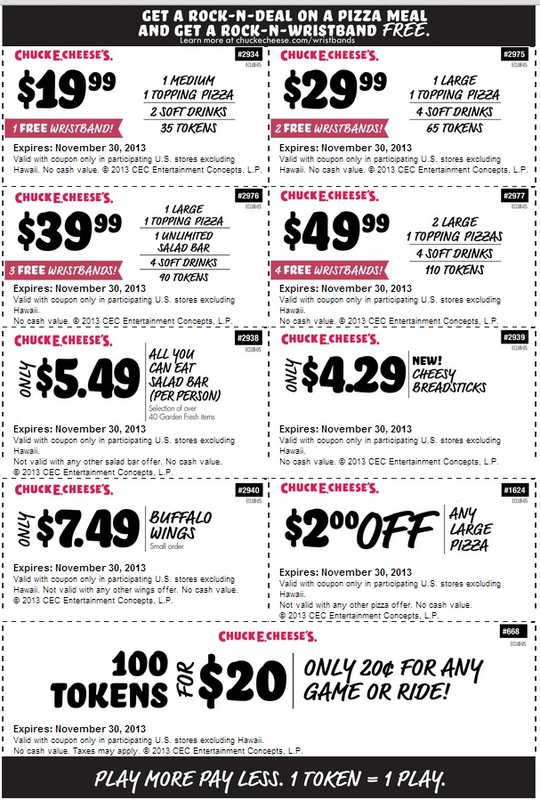 A description of all of the discounts available can be found to the left of the Chuck E Cheese coupons image below. 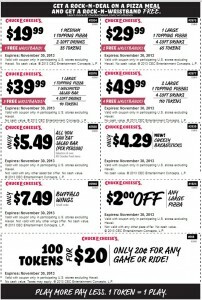 To view and print the coupons, click the image below for a full size version. From June 6 until September 1 (or until supplies run out), all guests 12 and under will be given a free game piece guaranteed to win tickets. For more information, check out the official rules. 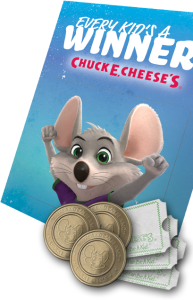 Play online games at Chuck E Cheese from now until March 31 and you can earn double the amount of free tickets! At participating locations only. Food purchase required. Chuckie Cheese is a viable option for a place that you can take the kids out and kind of sit back and relax. They are safe environments where you can socialize with other parents while watching your children jump around the ball pit or play arcade games. Simply like the Chuck E Cheese page for your entry to win the ultimate playground. Feb. 12, 2013 at 11:59 PM EST. Winners will be announced Feb. 15, 2013. Wendy’s has less restaurants than Burger King, but they are still so much busier that they rank number two of all fast food burger chains in the United States. Most Wendy’s locations are franchised, rather than owned by the Wendy’s corporation. 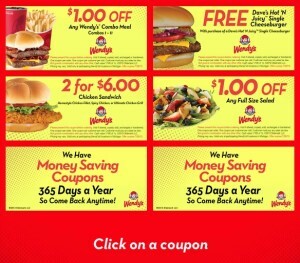 This means that you can get a lot more discounts and coupons for them. 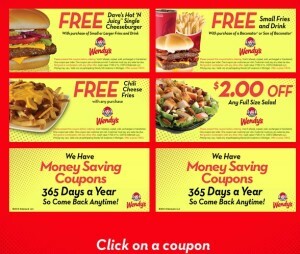 You’ll qualify both for nationally run coupons as well as local deals that are sent out by individual franchises. 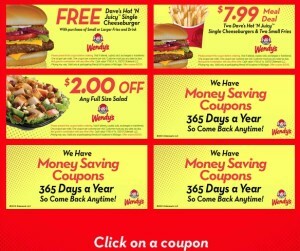 The only problem is there are less printable Wendy’s coupons on a national level and more local coupons instead. 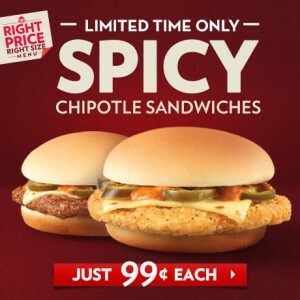 For a limited time get these sandwiches for just 99 cents each! I wish I still ate fast food so I could give these burgers a try! Michael’s Craft stores have what seem like an unlimited amount of products. You can pick up items for as little as a few cents to something that is a few hundred dollars. We are usually looking to help you save a lot on the latter deals, but it doesn’t hurt when there are some printable Michael’s coupons for any purchases that you need to make. With Pinterest and “mommy blogs” both becoming huge on the internet, there is a lot more of a need for craft products. You can usually trust Michael’s store or website to have whatever you need for your craft products. To receive this offer please register at Michaels.com today! Somanydiscounts.com is a participant in the Amazon Services LLC Associates Program, an affiliate advertising program designed to provide a means for sites to earn advertising fees by advertising and linking to amazon.com.